Through our charity events this year we are raising money to build additional classrooms at the Siankaba Community Trust School in rural Zambia. 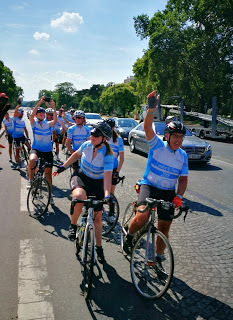 You can do your bit by joining us on our annual London to Paris Cycle Challenge, a 320 mile bike ride over 4 days. 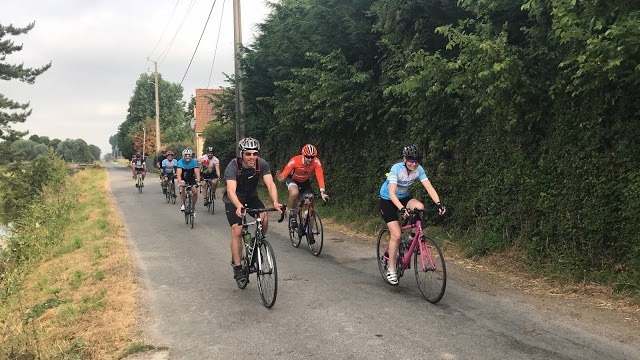 A fantastic event joining 2 great cities through some stunning countryside in England and France, finishing under the magnificent Eiffel Tower. 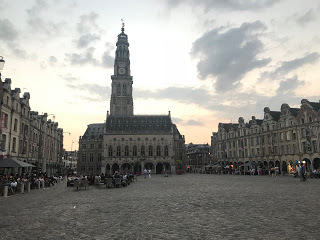 The route includes an overnight stop in the historic ton of Arras as well as a visit to Thiepval, the imposing First World War Memorial. How much does it cost? You will need to pay a £120 registration fee to secure your place on the challenge. 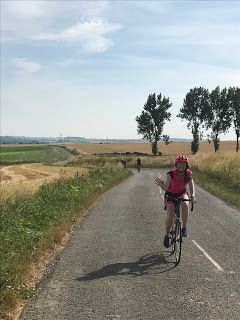 We then ask you to raise a minimum of £1295 for the charity, £900 of which needs to be raised ten weeks prior to the event, since part of your sponsorship will be used to pay for your ride place. Obviously the more you raise, the more we will have to support our projects. Many of our riders raise in excess of the minimum required, allowing us to do so much more for those who need our help. • Full bike transport from Paris back to the UK. 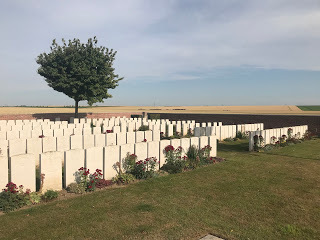 • All accommodation except for accommodation in London immediately before the event (Monday 27th May); you will need to arrange this independently if you are travelling from outside London, as it’s an early start on Tuesday morning. We recommend the Marriott, Bexleyheath (although there are other hotels close by) which is our start point. • All meals starting from lunch on day one to breakfast on day five. • Complete transport of luggage between hotels during the ride. • Full trip support including mechanics, first aid, drivers and full route support. • Accommodation at the Marriott Bexleyheath the night before the event (Monday 27th May) is not included and you will need to arrange independently if you are travelling from outside London. *Price subject to change according to availablity. Any increase will be notified prior to booking. Accommodation is in 3-4* hotels, picked for their proximity to our route. All the hotels have en-suite facilities and the price is based on two people sharing a room. If you are travelling on your own, don’t worry, you will be paired up with somebody in a similar position. You can also opt for a single room, but this will incur a supplementary charge. What food is included and are all diets catered for? Breakfast, lunch, and evening meal will be provided as part of the event package, starting with lunch on day 1 and finishing with breakfast on day 5. Evening meals and breakfasts will be provided at the hotels. 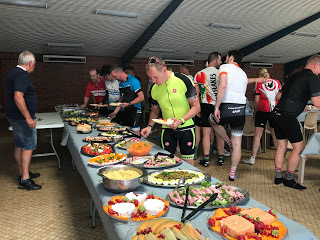 Lunches are provided by Chapeau Catering and are a generous buffet-style (hot and cold) with plenty of energy food to keep you going! 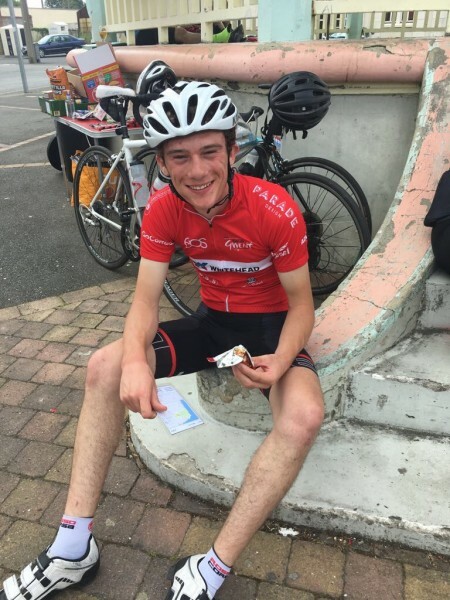 In addition, there will be refreshments at each cycle checkpoint, of which there will be 2 each day, consisting of water, juices and high-energy snacks. All special diets can be catered for provided you let us know well in advance of the trip. This event attracts people of all levels of experience and fitness, all ages and backgrounds. All participants are advised to train hard in advance to achieve this challenge, but everyone’s limits are respected. You will be in the saddle for upward of 75 miles a day for 4 consecutive days, so you should ensure as a minimum, that you are comfortable riding a 70-75 mile day. This ride is fairly undulating, so you should include some hilly rides in your training. Remember though, that this is a challenge for everyone to go at their own pace; it is not a race. Your trip will be led by an experienced crew from Chapeau Events. 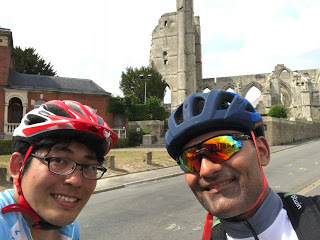 Their team members are selected for their experience in cycling events around the world, their friendliness and approachability, sense of humour and ability to safely and effectively deal with any situation that arises. Crew leaders are also trained in expedition first-aid. The number of crew and support vehicles will depend on the final size of the group, but the team will be looking after every aspect of the event whether that’s transporting luggage, ensuring the route is well marked, sorting out any mechanical problems or giving lifts in the backup vehicle. Your safety, and that of the rest of the group, is the highest priority. Crew are equipped with radios and emergency mobile phones, first-aid kits and other safety apparatus deemed necessary. The leader is responsible for safety on the trip, and will make any changes to the itinerary they deem necessary should local conditions dictate. Pre-trip administration – such as compulsory medical questionnaires and travel insurance – is all done with your safety in mind. Support vehicles are with the group all of the time. All luggage and spares will be carried in them between destinations. On reaching hotels, at the end of each day, you will hand over your bike for safe overnight keeping and collect your luggage. Each morning you will hand over your luggage and collect your bike. Obviously space is limited and hard-sided luggage is not suitable, so it is essential that your kit is packed in a soft sailing bag, rucksack or expedition kit-bag. It is a requirement of entry that you have adequate insurance to cover your participation on the event. You will be required to present details of valid insurance before travel. It is also recommended that you apply for a European Health Insurance Card (EHIC). How will I get my bike back from Paris? When you arrive at your hotel in Paris, your bike will be loaded onto one of the support vehicles and taken safely back to the UK for you. 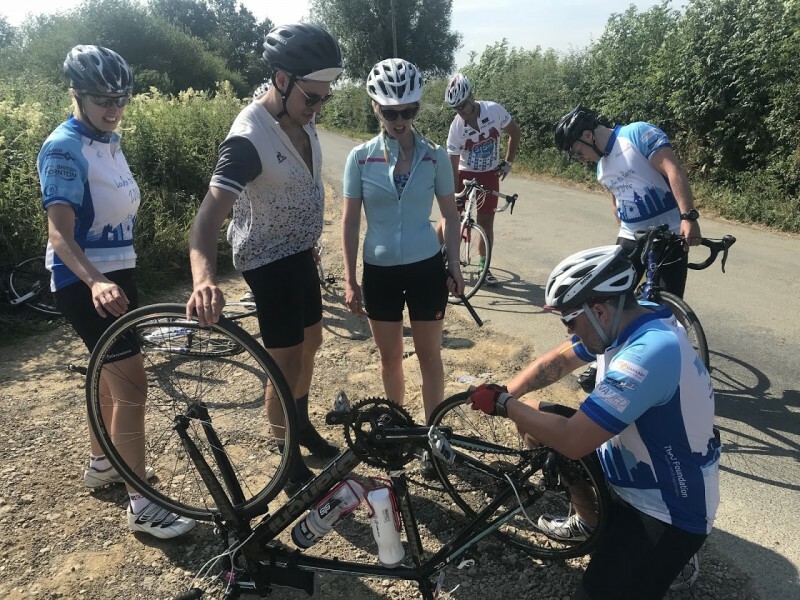 There will be pre-arranged drop off points, to be determined once all riders have signed up (one of the drop off points will be Hinckley in Leicestershire). This will give you more flexibility on your return travel if you so wish. We will also arrange a service to transport bikes from certain points to the start of the event if required, free of charge. We would like to thank our 2019 Sponsors for their support.